At Well-Being Total Home Care we offer the services you and your loved ones need when you need them. From Companionship to Wheelchair Ramps our team is trained to care for you, your loved ones and your home. 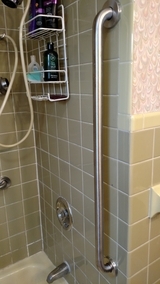 Lizzie needed help getting her scooter in and out of her home in the Fitchburg area. This ramp was installed in an afternoon. Big smiles from Lizzie! 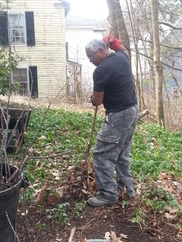 Our friends in Groton needed help to get Mr. C into and out of their house. 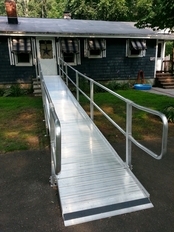 This aluminum ramp did not require a building permit which saved time from the first phone call to the installation. Meeting a discharge date from rehab is always challenging. 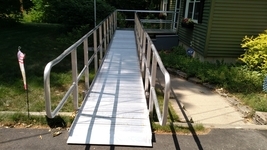 Our W Boylston client came home to a beautiful new ramp.